Bill de Blasio may be today’s standard-bearer for urban populism, but he’s not the first left-leaning mayor to lead a major US metropolis. America’s cities were the cradle of progressivism from the late 1800s through the New Deal and beyond. In response to the growing influence of robber barons and corporations in the Gilded Age, activists forged a coalition of immigrants, unionists, upper-class philanthropists and middle-class reformers (journalists, settlement house workers, clergy and academics among them) to improve living and working conditions in the burgeoning cities. The leaders elected by this coalition—including Mayors Tom Johnson of Cleveland (1901–09) and Samuel “Golden Rule” Jones of Toledo (1897–1904)—worked to make factories and tenements safer; improve public health and transportation; expand parks and playgrounds; put limits on electricity and water rates and create municipal utilities; enact taxes on wealthy property owners; and give working people a greater voice in their society. Later progressive mayors—including Milwaukee’s Daniel Hoan (1916–40), New York’s Fiorello La Guardia (1934–45), Bridgeport’s Jasper McLevy (1933–57), Chicago’s Harold Washington (1983–87) and Boston’s Ray Flynn (1984–93)—sided with workers in labor battles and with communities in struggles against business interests and developers. 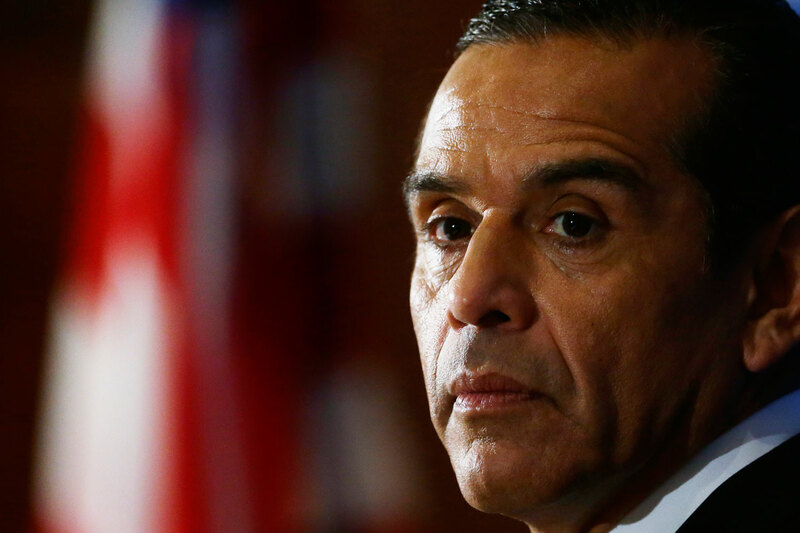 Antonio Villaraigosa was part of that tradition. In 2005, voters in Los Angeles elected Villaraigosa—a onetime union organizer and community activist—as their mayor, the first Latino to hold that office in modern times. Villaraigosa’s accomplishments during his eight years in office include cleaning up the nation’s dirtiest port, supporting private sector unions (janitors, hotel workers, truck drivers and security guards, among others) during organizing drives, strengthening the city’s living-wage law, dramatically expanding funding for public transit (by persuading voters to approve a sales tax increase), imposing strict workplace and environmental standards on the city’s trash collection and recycling industry, reforming job training programs to bring inner-city youths into well-paid union jobs, and reducing violent crime. He became a national champion of immigrant rights and ended the LAPD’s complicity with federal agencies on deportations. He was less successful in addressing the city’s severe housing crisis and improving its public schools. 1 Master “civic housekeeping.” Voters want to make sure that city government is competent before they’ll back you on social and economic justice issues. Make sure that potholes and playground equipment get fixed, parks are clean, and police and fire department response times are fast. At the first sign of a major snowstorm, get on top of a plow. 2 Be transparent about your major goals and quantify them whenever possible. Issue regular reports on the progress (or lack thereof) that you’re making on such issues as crime trends, housing starts, potholes and police response times. Explain to New Yorkers which goals will be the most difficult to achieve and why—whether it’s business opposition or lack of resources—and ask voters to help you overcome these obstacles. 3 Embrace the “inside/outside” tension that comes from being a progressive activist in City Hall. Encourage grassroots groups to lobby and protest when necessary to push major banks, employers, slumlords, developers and others to act responsibly. Occasionally, you’ll be the target of protest. Develop a thick skin. 4 You’re the mayor, but think like an organizer. Each major issue requires a campaign—with a core base, allies and opposition targets (slumlords, Walmart, greedy banks). Since you can’t win everything, identify stepping-stone reforms that improve people’s lives so that “compromise” is a victory, not a sellout. 5 Take advantage of divisions within the business community. Find enlightened business leaders who share your concerns over widening inequality and who agree that stronger regulations and higher taxes are needed for a healthy city. In LA, having a hotel owner who supported living wages and developers who embraced mixed-income inclusionary housing revealed that the business community was not monolithic on key debates. 6 Insist that big NYC-based foundations advance a new urban/suburban egalitarianism. They should be funding and nurturing a community-oriented infrastructure that can fight for a progressive agenda around housing, education, immigrant rights, and environmental and economic justice issues. Likewise, urge your major donors to move money to groups that support progressive goals. 7 Don’t be a control freak. Allow the City Council, which now has many progressive allies, to be a real legislative body that can nurture bold ideas. Let New York City be a laboratory for exciting experiments, like LA’s community benefit agreements and Boston’s “linkage” policy, both of which require developers to share the prosperity. 8 Encourage progressives and liberals to find common ground around a four- and eight-year issue agenda so that different constituencies aren’t constantly competing to make their issue your top priority. Identify a few things you want to accomplish each year for your first four-year term. Make it clear that some of these goals are “low-hanging fruit” but that others will be harder to win. 9 Recruit progressives who have technical and management skills as well as political savvy for the mayor’s office and municipal agencies, but make sure to include in your circle people with different views, including those who represent business, Wall Street and other key constituencies. 10 Explain to voters that there are some things cities can’t do on their own because they require state or federal permission or funds. Use your national platform to build coalitions with other urban mayors around a federal metropolitan agenda. Together, you can demand that Congress provide more funds for housing and job-creating infrastructure, revise federal rules to allow cities to improve conditions for port workers, require federally chartered banks to modify mortgages for millions of “underwater” homeowners, and adopt a federal law mandating paid sick days. Enlist urban and suburban mayors to adopt a truce to end the “bidding wars” that use scarce subsidies and local tax breaks to pit cities and states against each other to attract business investment, as Boeing is currently doing in Washington State. Remember, all liberals and progressives have a stake in your success as mayor of America’s largest city—not just in terms of specific policies, but to restore faith in government as a force for the public good.